Published: January 1st, 2019 by Simon. Filed in Kitchen and tagged flatpack kitchens, Kitchen Cabinets, Kitchen Renovation, Splashback Tiles. As a house ages, repairs and renovation are inevitable, and given that the kitchen is the room that sells a house, it’s not surprising that homeowners look to renovate this space more than any other. However, a kitchen renovation needn’t be expensive. 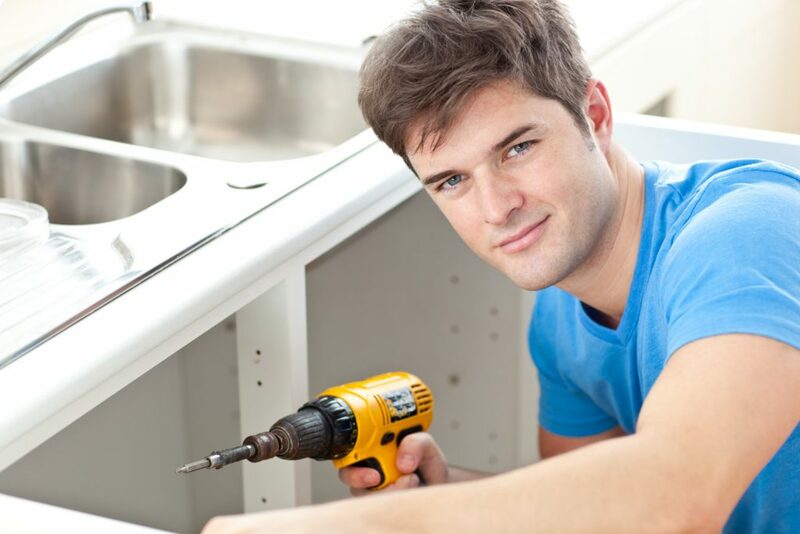 There are ways that you can renovate your kitchen on a budget. However, if you are looking to renovate your kitchen on a budget, then there are certain things you must consider. Today, we’ll take a look at what these things are. So, continue reading this post to discover how you can create a budget kitchen in Perth. 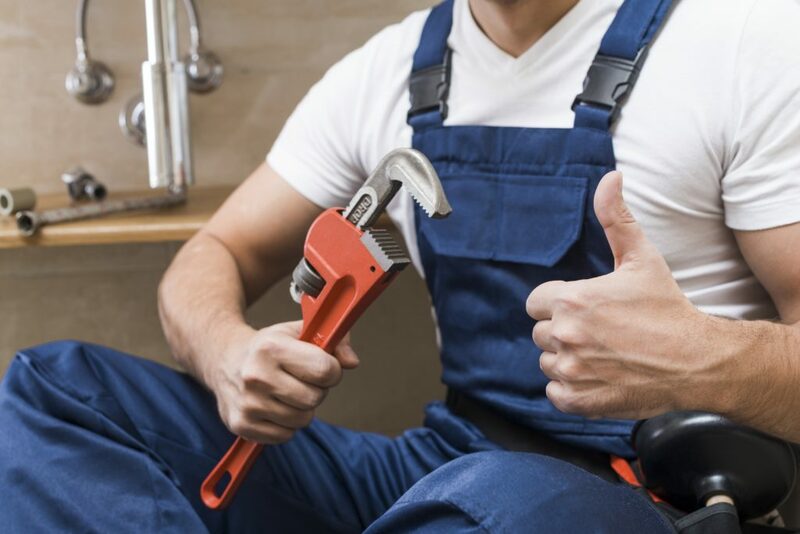 Moving your plumbing is a sure way to blow your kitchen renovation budget out of the water. Even if you need to update your plumbing fixtures, avoid moving the outlets at all costs. If you do so, you could end up spending thousands of dollars redoing the piping and adding new outlets. Plan your renovation in such a way to keep your plumbing fixtures in their current position. If you’re thinking of changing your kitchen layout, then you will need to be mindful of your plumbing. By keeping your plumbing fixtures in the same position, you’re restricted in how much you’ll be able to change the layout. Therefore, if you want to change the look to modernise your kitchen, consider removing a return or adding an island bench – that is of course, if your budget allows for it. In case you need to change your layout, make sure that you can do it without tinkering with the plumbing. While it may not be completely possible for you to rearrange things the way you want, you’ll still be able to move some parts of your kitchen around. The cost of kitchen cabinets is one of the biggest costs associated with any kitchen renovation. If you’re planning on replacing your cabinetry, you should consider choosing pre-assembled kitchen cabinets over flatpack kitchens. Pre-assembled cabinets offer much better quality than flatpacks for just a little more cost – yet they are far cheaper than custom made cabinets. Also, by choosing preassembled kitchen cabinets, you won’t need to hire someone to assemble or install the cabinets, which will allow you to save on installation costs. This is why we choose to sell only pre-assembled cabinets at Ross’s Discount Home Centre. We are all about offering quality products that will save our customers money. Our cabinets feature a stunning 2-pack high gloss finish and come equipped with soft closing door/drawers and modern chrome handles, and they are backed by an impressive 5-year manufacturer’s warranty also. If you are considering installing a new splashback as part of your kitchen renovation, consider tiles over other splashback materials. Tiles are an affordable alternative to other materials such as glass, stainless steel, stone, acrylic or pressed metal. 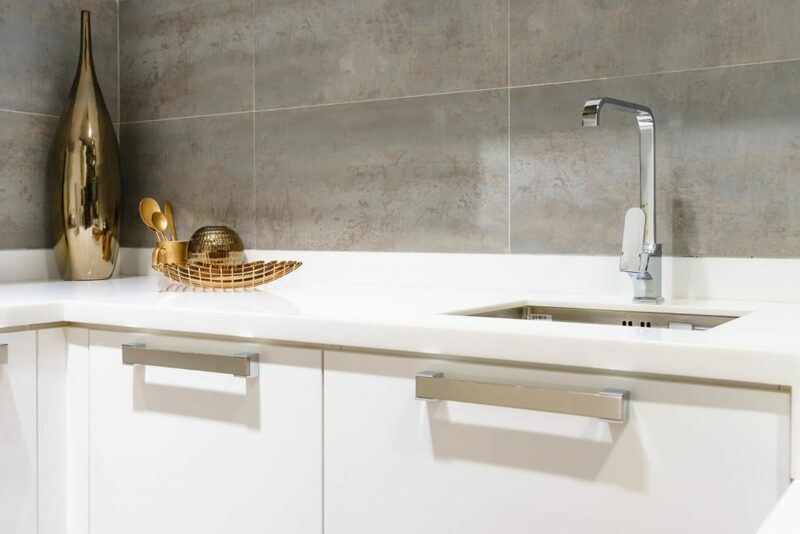 Feature tiles are available in a range of colours, designs, and styles and they are perfect for use in kitchen splashbacks. You’ll find an extensive range of trending splashback tiles from as little as $8 per tile here at Ross’s Discount Home Centre. For some design inspiration, be sure to check out my earlier post, ‘10 Splashback Tiles to consider for your Kitchen Renovation’. While natural stone benchtops certainly look fabulous, they’re not the best choice if you’re renovating on a budget. 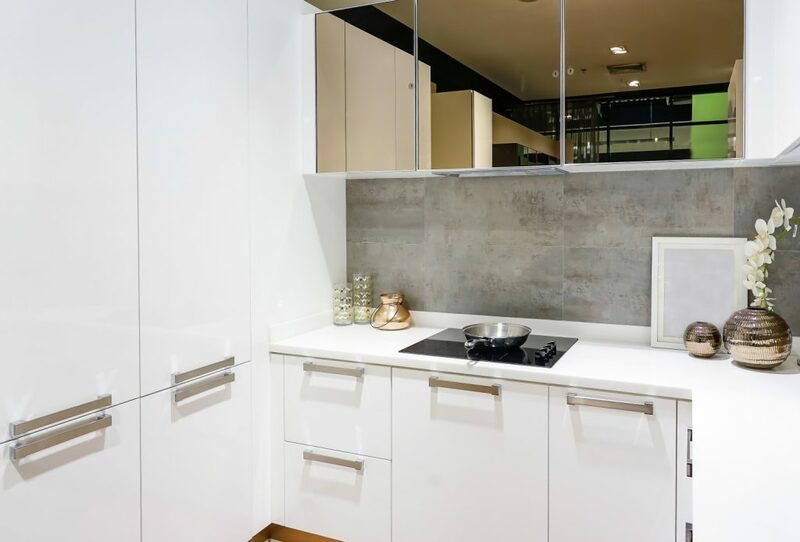 Instead of natural stone benchtops, you should consider a stone-look laminate benchtop instead. Laminate benchtops today come in an array of modern designs and for their price, are a great alternative to engineered stone benchtops. Laminate benchtops can mimic the look and feel of natural stone, and they are exceptionally water resistant as well. For high-quality laminate benchtops in Perth, look no further than us here at Ross’s Discount Home Centre. Our stone-look laminate benchtops will allow you to add a rich and lavish touch to your kitchen without actually having to break the bank. If you’re looking to undertake a budget kitchen renovation, you must pay attention to certain things. Avoid moving your plumbing or the layout of your kitchen. Choose pre-assembled kitchen cabinets over flatpack kitchens and choose tiles for your splashback over other splashback materials. And, opt for a stone-look benchtop instead of going with a natural stone benchtop. And, for budget kitchen products for your renovation, you’ll find everything that you need here at Ross’s Discount Home Centre. From cabinets to benchtops, tapware to sinks, accessories, appliances, and tiles, we offer everything under a single roof! To design your budget kitchen in Perth, shop from us today!